This lake was built by the eponymous Mr. Foy. 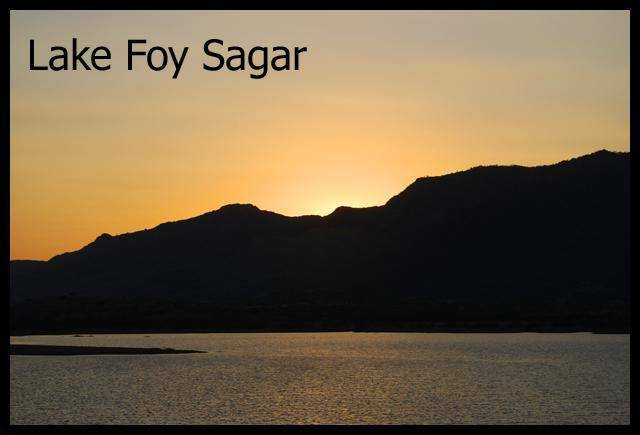 Mr. Foy was an English engineer, and also a philanthropist who built the lake as part of a famine relief project. From the lake, you can see the ghats at the lakeside, the white houses of Ajmer resting underneath the hills.